These dialogues will enable students to explore their personal character and values, their communities, and be better prepared themselves to create meaningful and positive change as we work to create a more inclusive and socially just world. 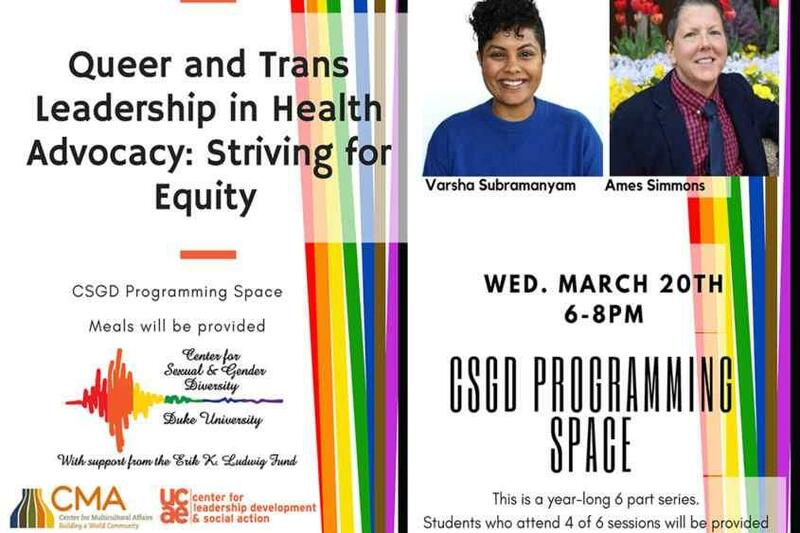 The Queer & Trans Leadership Series will take place in the Center for Gender and Sexual Diversity on the 3rd floor of the Bryan Center. All participants will be provided with a meal.